After reading what is perhaps the greatest customer-service-via-social-media story ever told, I knew I had my next Cataloging Friday subject: the meal delivered by Morton’s to Peter Shankman at the Newark Airport. 110 2 Morton’s the Steakhouse. 245 0 0 To Shankman, with love |h[comestible] /|cMortons the Steakhouse. 260 Newark, NJ :|bMorton’s the Steakhouse [distributor], |c2011. 300 1 porterhouse steak :|bpackaged in take-out ware ;|c24 oz. 300 1 side order of potatoes :|bpackaged in take-out ware ;|csize unknown. 300 1 order of bread :|bpackaged in take-out ware ;|csize unknown. 300 2 napkins ;|csize unknown. 300 1 package of plastic silverware :|bpackaged in plastic wrap ;|csize unknown. 300 1 take-out bag :|bill. ;|csize unknown. 500 Title created by cataloger. 500 This meal, being the sum of all parts listed herein, was delivered to Mr. Peter Shankman at the Newark International Airport (EWR) on August 17, 2011 after Mr. Shankman requested a “porterhouse” from Morton’s via his Twitter account (@petershankman). 650 0 Mass media and business. 650 0 Advertising |xFood service. 650 0 Dinners and dining. I love social media even more than I thought I did before. Reading about steak can, in fact, make one crave protein like a crazed troglodyte. Beurre blanc sauce is not an authorized subject heading. I feel like it should be. 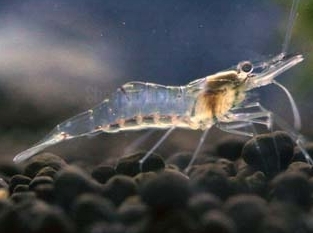 Did you know that there is such a thing as “ghost shrimps?” Because I did not. No one wants to eat this. *Disclaimer: This record, in all its hypothetical glory, was not actually entered into any existing catalogs. 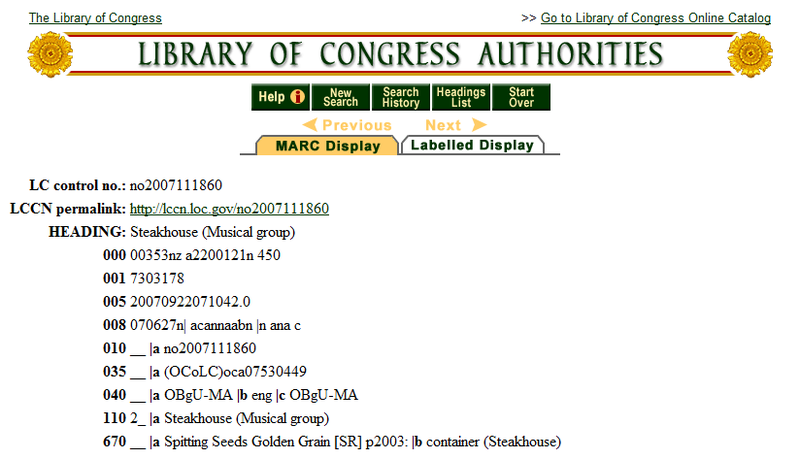 Any mis-appropriations of MARC fields are not intended to offend any catalogers that have more experience than myself in cataloging Colossal Shrimp. **Morton’s location in the above record is based on the context of the article to which I originally linked: based on the author’s statement that the nearest Morton’s was 24 miles away, I assumed the meal was courtesy of the Hackensack, New Jersey location. If Morton’s needs to or would like to correct me, I would be happy to change the record. ***For more about Cataloging Fridays, click here.